When your business donates to the Blue Mile Foundation, you become a Blue Mile Business MVP, and based on your level of donation, your business receives benefits only available to participating donors. The purpose of the Blue Mile Business MVP Donor Program is to not only help our Blue Mile businesses succeed but to build relationships among fellow business owners and those working to enhance and strengthen the Blue Mile itself. When your business has made a donation to the Blue Mile Foundation for the Busines MVP Program, our marketing team will contact you to get started! Be prepared to be asked questions about events, specials, deals, and your goal for marketing your event/special/deal/business. Your answers will help our team come up with the best plan and posts for you! 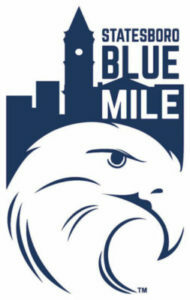 If you are interested in taking part in the Blue Mile MVP Program, please fill out the form below and we will be in touch or you can download the information and form here!